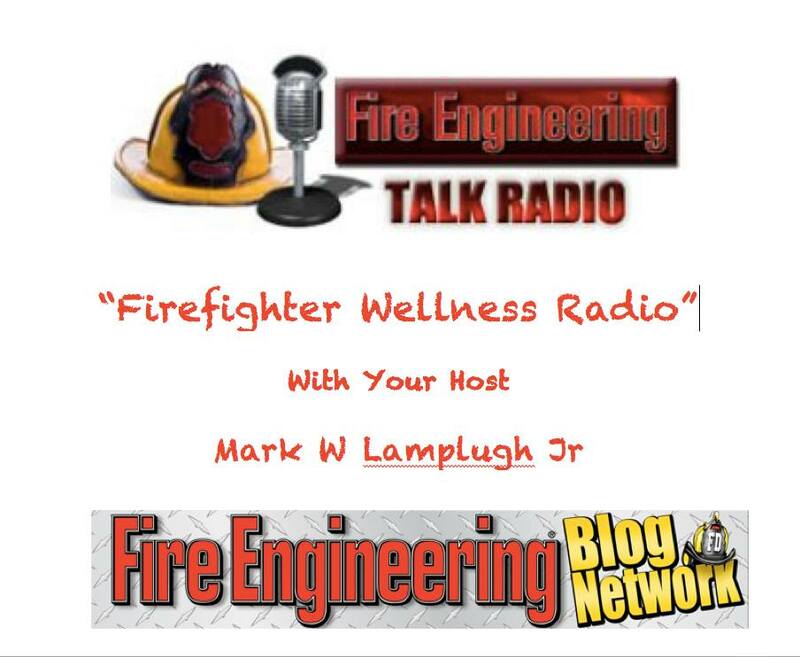 Frontline’s (www.frontlinerehab.com)Very Own Mark Lamplugh kicks off his first show of “Firefighter Wellness Radio” for Fire Engineering Blog Talk. Mark Lamplugh is a fourth-generation firefighter and former captain with the Lower Chichester (PA) Fire Company. He was the Chief Executive Officer of 360 Wellness Inc. (http://www.360wellness.org/) and is currently the Vice President with Advanced Health & Education (www.advhealth.com) and their Frontline Program (www.frontlinerehab.com). Lamplugh is also nationally recognized in Crisis Stress Intervention through the American Academy of Experts in Traumatic Stress. He has helped hundreds of firefighters, police officers, veterans, EMS personnel, and civilians nationwide find help for addiction, alcoholism, PTSD, and mental health support. He can be reached for comment at mark@360wellness.org. Joining Mark on today’s show is therapist Bill Von Glahn CADC with the Frontline program at Advanced Health & Education (www.advhealth.com). Bill has been working and treating firefighters and other first responders for several years, and we are going to learn some of the aspects and challenges of working with firefighters. We will also talk about some of the things firefighters should expect in treatment and some of the things they should do if they complete treatment and go back to work. Often time we hear about the problems firefighters have or will have, but we rarely hear about what happens after you accept help. Bill is going to shed light on those exact things during the show. You can reach Bill for questions at his email bill@advhealth.com. Frontline Responder Services(www.frontlinerehab.com) was created by Mark Lamplugh and Advanced Health & Education (www.advhealth.com) to help firefighters and other first responders who are struggling with addiction and PTSD. Frontline(www.frontlinerehab.com) was set up as a peer-driven model which is proven to help first responders who are struggling with substance abuse and PTSD. Having other firefighters and first responders at the Frontline program(www.frontlinerehab.com) who understands exactly what issues firefighters will help them settle in and feel safe. If you are a firefighter or other first responder struggling with addiction and PTSD, you must reach out to Advanced Health & Education(www.advhealth.com) today. Let the Frontline program (www.frontlinerehab.com)get you back on track and back on the job healthy and happy.